Whether sliding, Pagescrolling, a Lightbox pop-ups or Drag â€˜n Drop Effects, jQuery provides plenty of opportunities to implement virtually any requirement for a matching feature. 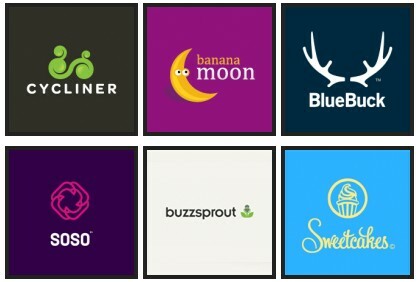 Today I have collected 14 demos of jquery and css ,I wish I knew them before. Just go through the list you will surely love it. via The Lightbox Clones Matrix Â« planetOzh. Just drag&drop your photos into Visual LightBox window, press “Publish” and your own web gallery with beautiful LightBox 2 effects will open in the browser instantly! via Visual Lightbox JS: Free Visual Generator for Lightbox 2 Script for jQuery or Prototype. 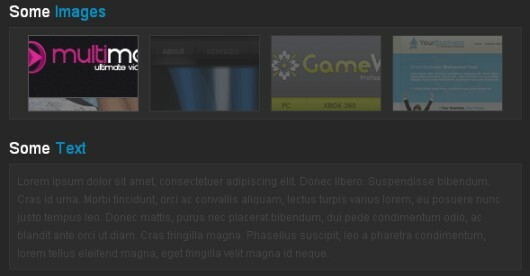 jQuery Lightbox.. Supports photos, photo groups, slideshow, ajax, inline, and iframed content. Appearance is controlled through CSS so users can restyle the box. Can be extended with callbacks & event-hooks without altering the source files. Completely unobtrusive, options are set in the JS and require no changes to existing HTML. Preloads background images and can preload upcoming images in a photo group. 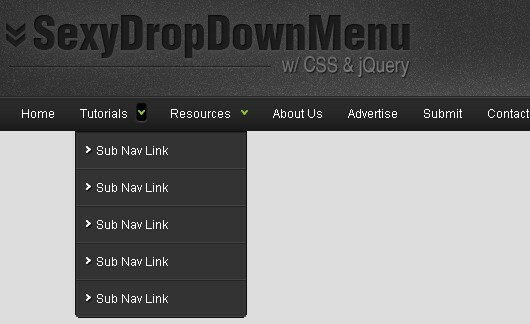 Written in jQuery plugin format and can be chained with other jQuery commands. Generates W3C valid XHTML and adds no JS global variables & passes JSLint. Tested In: Firefox 2 & 3, Safari 3 & 4, Opera 9, Chrome, Internet Explorer 6, 7, 8.
via ColorBox – customizable lightbox plugin for jQuery 1.3 & 1.4.
via jQuery lightbox for images, videos, YouTube, iframes | StÃ©phane Caron â€“ No Margin For Errors. 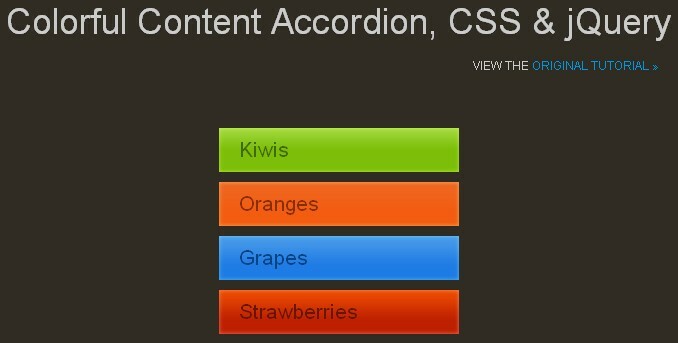 via Sweet AJAX Tabs With jQuery 1.4 & CSS3 | Tutorialzine demo. This plugin will add SexyLightBox to all the images in your blog, as long as they’re linking to the image file, it’s not necessary to add “rel=lightbox” anywhere, the plugin does it for you. via WordPress â€º WP SexyLightBox Â« WordPress Plugins. Yet another Colorbox plugin for WordPress. When adding an image to a post or page, usually a thumbnail is inserted and linked to the image in original size. All images in posts and pages are displayed in a layer when the tumbnail is clicked. Images are grouped as galleries when linked in the same blog post or page. Images can be excluded by giving them a special CSS class. 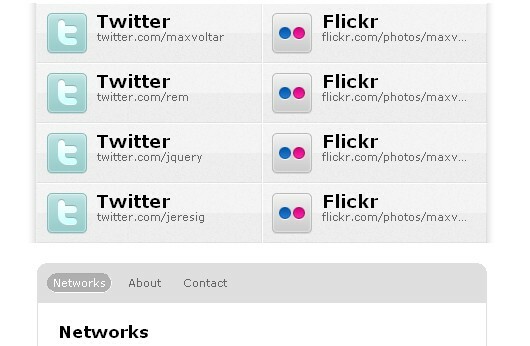 via WordPress â€º Picbox Â« WordPress Plugins. WP Carousel is a plugin that create a carousel with a posts, category’s posts or pages, and you can put it anywhere on the blog. In the plugin’s options page you can add items to each carousel and there you can set up some options and the theme used in each carousel. via WordPress â€º WP Carousel Â« WordPress Plugins.